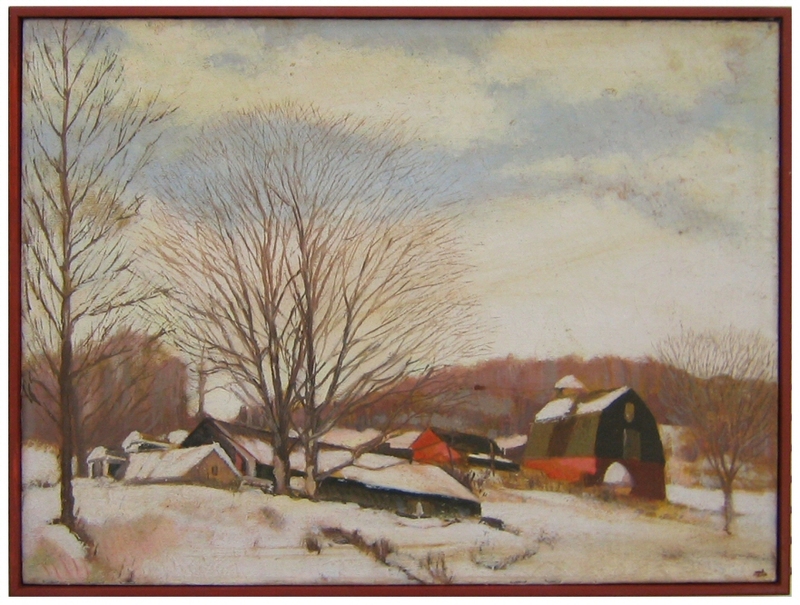 Unsigned 20th Century oil on canvas. “Conn. Farm” written on the stretcher. 18 x2 4 in.